The best way for any child to learn to read is through constant exposure to the written language… and through play! 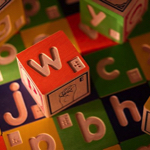 Sighted children play with alphabet blocks or simple word puzzles when they are young to help develop a foundation for literacy, and blind children have the same opportunities with toys in braille. Of course you can add braille to almost any toy. All you need is a good braille labeler and a little space on the toy and you’re good to go! But it’s also exciting to find toys specifically designed for kids who are learning (or are already proficient at) braille. Below you’ll find everything from alphabet blocks to raised line coloring pages and activity books to puzzles to card and board games… and so much more! And it’s all in braille ready for your child to play and learn. To make things a little easier for you in planning your shopping, we also listed the toys in order of cost (cheapest to most expensive) and you can find toys for under $10, toys for under $25, toys for under $50 and toys for under $100. 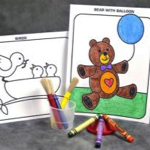 These coloring pages are printed on heavy paper with thick dark lines that are also deeply embossed. 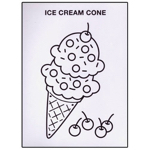 The pack comes with eight simple coloring pages and each page’s title is also brailled. 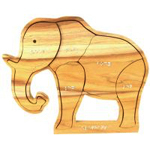 Each of these wooden puzzles contain five to six pieces and each piece is labeled in braille to let you know which part of the animal you are holding (for example, for the elephant the pieces are front leg, back leg, body, shoulder, and trunk). 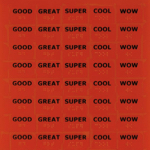 You know those classic magnetic letters you used to play with on the refrigerator? These are exactly the same in the same bright colors you remember, but with braille added to each letter! Just like a regular Bingo board, but with braille! 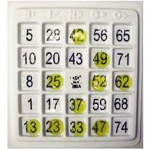 A great way to get everyone involved in family game of Bingo. Markers are included with the board. This spiral-bound book comes with twelve raised-line coloring pages with print and braille text. Each page also comes with a page protector. 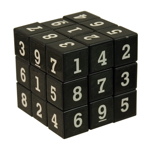 These little puzzles fit easily in small hands and are fun because there is no right way to solve them. Move the pieces, make a pattern, line them up or just use it as a fidget. Each piece includes braille too! Weave the laces through these brightly colored buttons to create patterns. 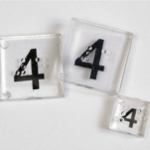 The buttons are numbered one through five and have the number in print and braille along with the corresponding number of holes for lacing. 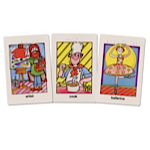 A classic Old Maid card game, but with braille so everyone can play! 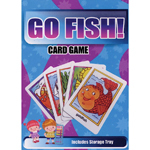 A classic Go Fish card game, but with braille so everyone can play! 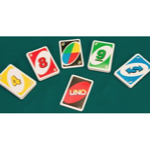 The classic UNO card game, but with braille so everyone can play! 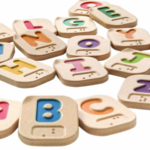 Uncle Goose wooden blocks are high quality and beautifully designed with classic style. These blocks display the numbers 0-9 in print and braille and the braille is not enlarged, but standard size. Plan braille numbers are not really blocks, but more like plastic tiles. They are still fun to manipulate and line up in different combinations… and this version includes braille! This is a must for sudoku fans! Twist and turn rows of connected boxes to solve the puzzle. Each block is both in bold large print and braille. Everybody loves stickers, so what about stickers with braille? APH sells a collection of tactile stickers and these Braille Reward Statements can be bought as part of that set or on their own. This creative print/braille book asks you to play along with the story as you read it. 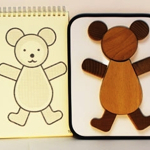 The reader builds a teddy bear using the blocks and magnetic board that comes with the book while reading a story about a teddy bear being built out of blocks. Very hands on! 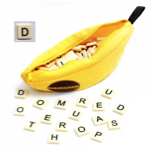 In Bananagrams, players race against each other to build crossword grids and use all their letter tiles. There’s no turn-taking – it all happens at once and it’s a race to the finish. And this version includes print/braille tiles! These beautiful handmade blocks are great accompanying the Uncle Goose Braille Math Blocks. Each block displays a letter in both print and braille as well as American Sign Language. Do you know someone who is a sudoku master? 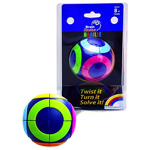 Are you looking for an accessible gift that will get them excited and challenge their skills? Look no further! Sudoku Touch is a sudoku game everyone can play! It’s perfect for blind, low vision and sighted players. These tiles are made of rubber wood and contain a letter on both sides: print/braille upper case on one side and print/braille lower case on the other. 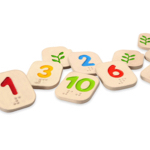 They make a nice set with the Plan Toys Braille Numbers 1-10. 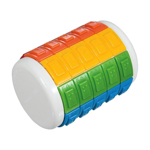 This intriguing puzzle includes braille lettering on each segment to denote the colors. Perplexing fun for the partially sighted, blind or those with vision. 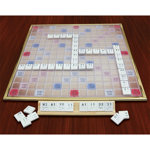 The traditional Scrabble game gets an upgrade with braille tiles, a tactile grid and braille squares on the board and instructions in print and audio cassette. A fully accessible game for sighted and blind players! This fun and engaging book lets your child feel the different textures of the Horse and Lizard, smell the distinctive aromas of Apples and Roses, move the hands of the Watch and pull the Zipper, all while learning the alphabet and many beginning words in Sign language and braille. Touch the corresponding key pad to hear the letters and words while you read. 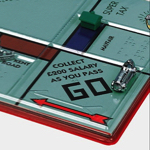 This Monopoly board has a special tactile overlay allowing players to identify spaces and properties. It also includes extra large sized cards with braille and large print and each game space is labeled in braille and in large print. The Perkins Panda Early Literacy Program is a wonderful compilation of materials designed to help you instill a love of books and reading in your child through a set of fun toys and stories. 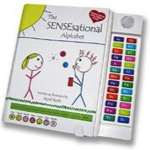 The kit comes complete with three print/braille picture books, three audio cassettes, three activity guides and a story box. 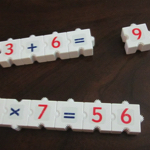 You can join these blocks together in any pattern to create number lines or equations. 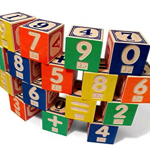 The set comes with 84 blocks with numbers and mathematical symbols in print and braille. Braille Stickers for iOS MessagingSpread the Love Giveaway!